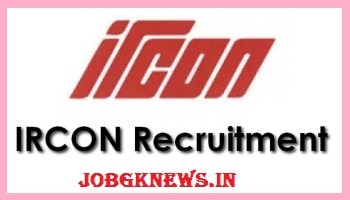 IRCON International Limited has released a notification for the recruitment of 146 Work Engineers of Civil/Mechanical and Site Supervisors of Civil/S&T. Interested candidates may check the eligibility criteria and apply online from 04-10-2017 to 19-10-2017. GET FREE JOBS ALERT ON WHATSAPP. ADD THIS MOBILE NUMBER (+91 9277772272) ON YOUR WHATSAPP GROUP. For Work Engineer :- Candidates should have passed Full-time Degree in Civil/Mechanical Engineering with minimum 60% marks from a recognised university. For Site Supervisor :- Candidates should have passed Full-time Diploma in Civil/Electronics/Electronics & Communication/Electronics & Instrumentation Engineering with minimum 60% marks from a recognised university. Selection Process :- Selection of candidates will be made on the basis of Written Examination and Personal Interview. Application Fee :- General/UR/OBC candidates have to pay Rs. 750 and SC/ST/Ex-Servicemen have to pay Rs. 250 through online mode using Net-banking/Credit or Debit Card. How to Apply :- Interested and eligible candidates may apply online through IRCON International Limited website - https://www.ircon.org/ - from 04-10-2017 to 19-10-2017.